Get meeting attendees excited with these creative events ideas that engage all five senses. Want to create a memorable experience for your clients? Go above and beyond by engaging all five senses for an immersive, multisensory experience. From fun meeting activities to spectacular event venues, try these ideas for creative events in Chicago. Ready to make a little noise? Amp up the energy of your meeting or special event by integrating live music, local bands or even upscale productions by renowned performers. 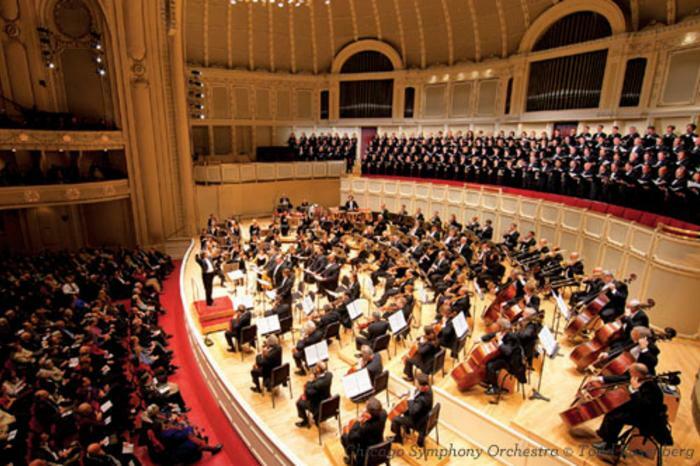 Plan an elegant affair at the Symphony Center—home to the Chicago Symphony Orchestra—where you can choose from intimate gathering spaces to a grand ballroom. Meanwhile, Millennium Park is an ideal spot for sophisticated alfresco events, where artistic and cultural music performances take place throughout the summer. Need more ideas? Host a private event at the historic Thalia Hall while featuring live music on the main stage, enjoy Southern cuisine paired with blues music at House of Blues, or opt for soul food and soulful sounds at Buddy Guy&apos;s Legends. 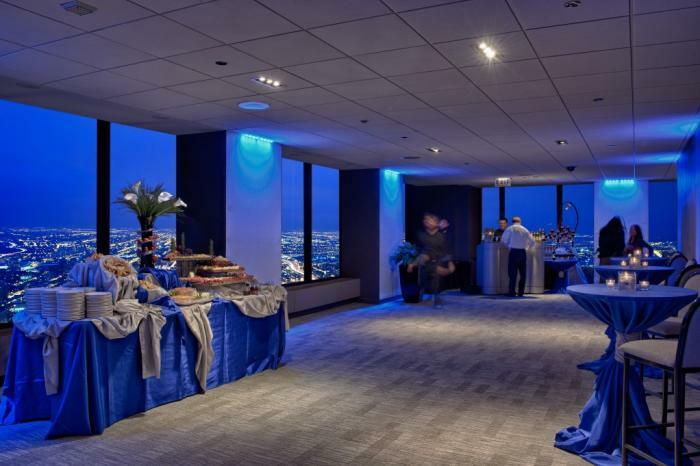 With an array of award-winning restaurants, cutting edge culinary trends and iconic, only-in-Chicago specialties, it&apos;s easy to integrate unforgettable cuisine into your event. Reserve one of the luxurious private dining rooms at The Montgomery Club, where American steakhouse classics and fresh seafood are served in vintage-inspired settings. For a modern interpretation of a classic clubhouse restaurant, opt for one of the three private dining areas at Seven Lions (or on-site catering at your event venue), where seafood and steaks are served alongside farm-to-table specialty dishes. The Promontory features private event space for 150 (seated) to 300 (cocktail) guests, while serving up rustic yet sophisticated fare, innovative cocktails and thoughtfully curated wines. Or, give guests a peek into Chicago&apos;s craft beer scene at Motor Row Brewing, where brewery tours, private event space and, of course, freshly brewed beer provide the perfect spot for casual gatherings. For something fun, wacky (and kid-friendly), try an event at Dylan&apos;s Candy Bar, featuring a colorful party room and whimsical food and drink options. Also, don&apos;t miss Chicago Dine-Around&apos;s Progressive Dining Tour that engages all the senses. 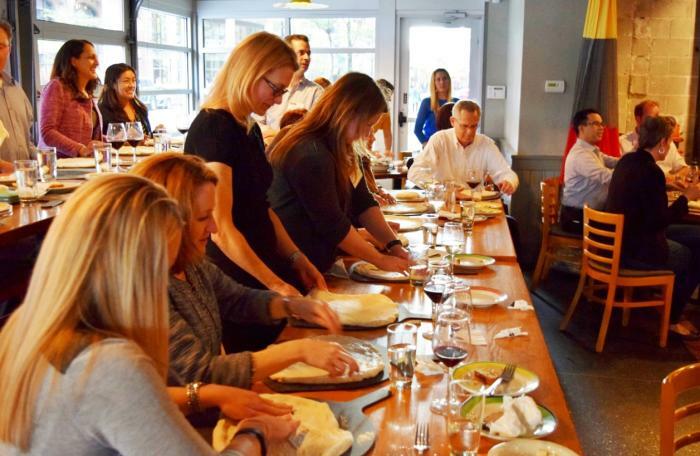 This event visits three different restaurants for separate courses, offering continuous guest interaction and education on Chicago along the way for an entire Chicago experience. Create a fully immersive experience by harnessing the power of scent. Rejuvenate meeting attendees by hosting spa-themed breaks, offering full-service mobile spa treatments with the help of Spa In Your Space or Chair Massage Chicago, and integrate soothing or energizing aromatherapy options. Another option is dynamic floral design. Full-service event production and design companies—such as Ivan Carlson & Associates or Revel Decor—can transform your space with the dramatic floral design, pairing fresh blooms with unique containers for the ultimate effect. Get your guests engaged—and even interacting with each other—with fun meeting activities and hands-on team building exercises. Games make for fun, friendly competition, so plan a private event at Lucky Strike or WhirlyBall Chicago, both of which offer experienced event coordinators to help plan your perfect event. 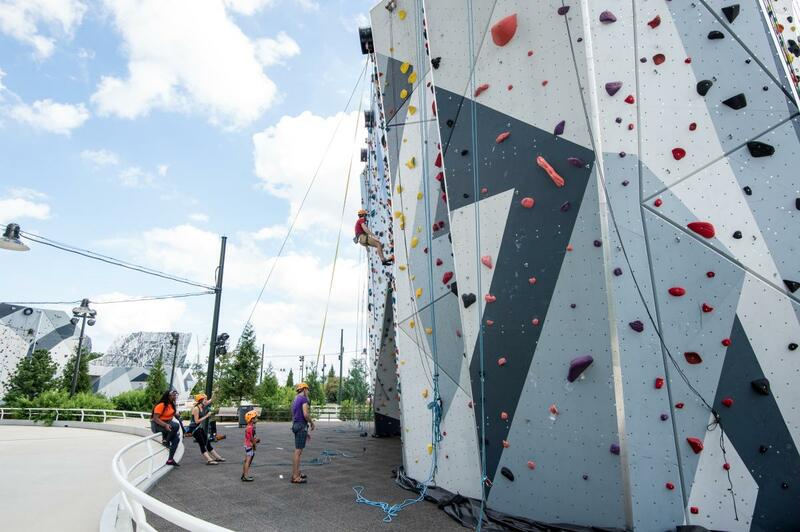 At Maggie Daley Park, reserve a private events space, and plan for an active experience on the rock-climbing wall, which can accommodate up to 100 climbers at a time. The Chicago Sports Museum offers a number of private event spaces, as well as interactive exhibits, skill challenges and simulated sports experiences. Or, tap into your attendees&apos; sense of humor with an improv workshop at The Second City, where they can learn applicable on-the-job skills and important life lessons in a hilarious and entertaining way.